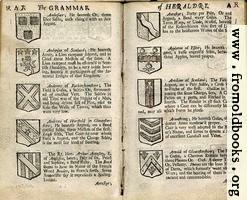 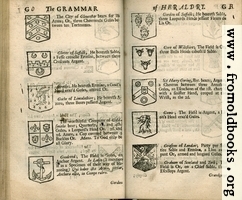 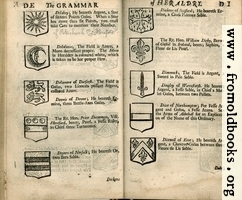 Images and scanned pages from The Grammar of Heraldry by Samuel Kent, 1718. 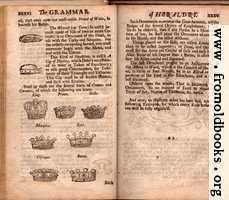 I am in the process of scanning this book and transcribing it. 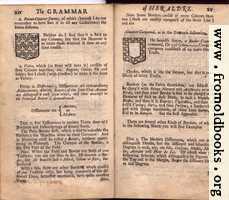 Here is the full text of the book as far as I have done so far, together with links to the scanned pages.